BRAISED red cabbage might not sound like a very ‘out there’ accompaniment, but 40 years ago it was considered a pretty bold step away from the standard sides of the time. So bold, in fact, that it piqued the interest of an 18 year old Ian Minto who was out for a meal with his parents to celebrate passing his driving test. The chef responsible for pushing the envelope was Bill Costley – a man Ian credits with fuelling his interest in food, ultimately inspiring him to go on to become a chef. 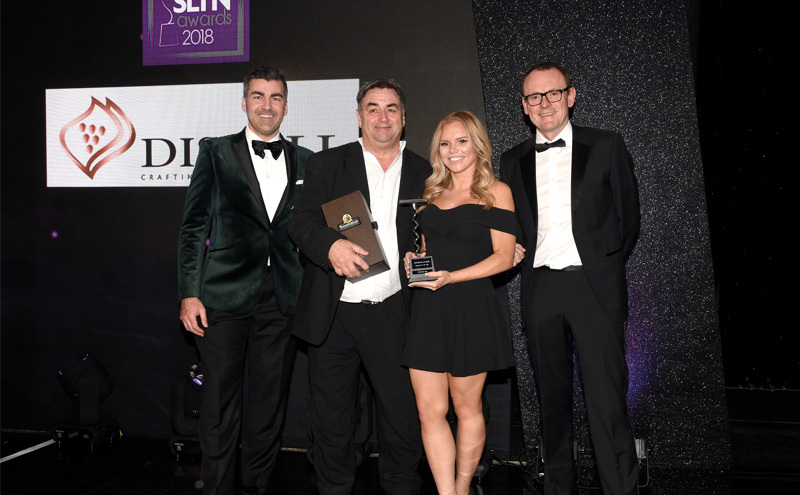 “I remember at the time my mum saying to me, ‘he’ll not last’, because he was changing things up and it wasn’t the usual chips and peas,” said Ian, who, together with wife Bernadette, owns The Sun Inn in Lothian Bridge, Dalkeith, which was named SLTN Gastropub of the Year for 2018, in association with Distell. Ian’s own path to the commercial kitchen, however, was not direct. He spent the early years of his career running a newsagents in Ayr. But he said he was “always talking about food”. “I think folk were fed up listening to me,” Ian recalls. And so in 2000, at the age of 40, he took the plunge. Pubco Punch had just released a raft of pubs south of the border, so Ian and Bernadette left the west coast of Scotland for her home county of Yorkshire, where they took on The Fleece in the village of Addingham. The move enabled self-taught chef Ian and Bernadette to put their own stamp on the business, with quality food underpinning the offer. Spurred on, the couple opened a restaurant in Spain before returning to the pub game in Yorkshire and taking on a leasehold with Jennings pub company. 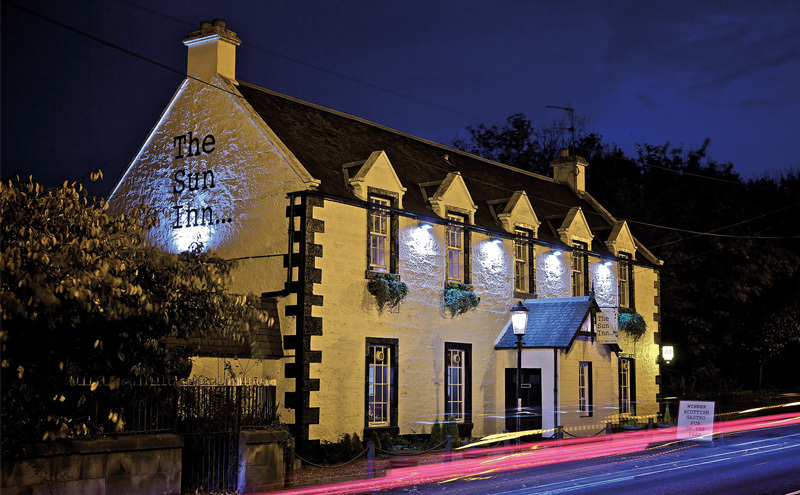 But the Mintos harboured a desire to buy a freehold; and The Sun Inn, on the banks of the River South Esk in Lothian Bridge, ticked a lot of boxes – not least of which was the potential to bring the gastropub concept to the outskirts of Edinburgh. “Ten years ago, the gastropub thing was fairly popular in England but there wasn’t much up here,” said Ian. Food has, of course, taken centre stage from the outset. Working full-time in the kitchen initially, Ian has gone on to assemble a brigade as dedicated to quality and passionate about food as he is, with The Sun Inn earning no shortage of plaudits, including the SLTN Gastropub of the Year for 2018 – an award that the team at The Sun Inn dedicated to head chef Lee Coulter, who passed away in September 2018. And the team continues to evolve the food offer, underpinned by quality produce from suppliers like John Gilmour Butchers, Campbells, Welch Fishmongers, Belhaven Smokehouse, Wild Tastes and Wellocks; as well as Alliance Wines and Inverarity Morton. “I think folk are more knowledgeable [about food],” said Ian. “They watch food programmes and they are more willing to try things on the menu that they maybe wouldn’t have a few years ago. We’ve got things on the menu now that you would never have had on before, things like razor clams. “But I think the biggest change has been drinks. And all of that had some bearing on the extension the Mintos added to The Sun Inn three years ago. The six-figure project saw the original 70-cover inn augmented with a contemporary glass extension with outdoor decked areas and views of the river. The space incorporates a feature window looking into the kitchen and a new bar which is home to over 70 gins; it operates as a coffee shop by day as well as a 90-capacity function space. The development also allowed the Mintos to add another bedroom, with roof terrace and hot tub, to the inn’s existing five letting rooms. Ian said the extension has achieved its overarching objective of increasing the frequency with which people visit The Sun Inn. And he has wasted no time in getting stuck into his next project – not at The Sun Inn, though. 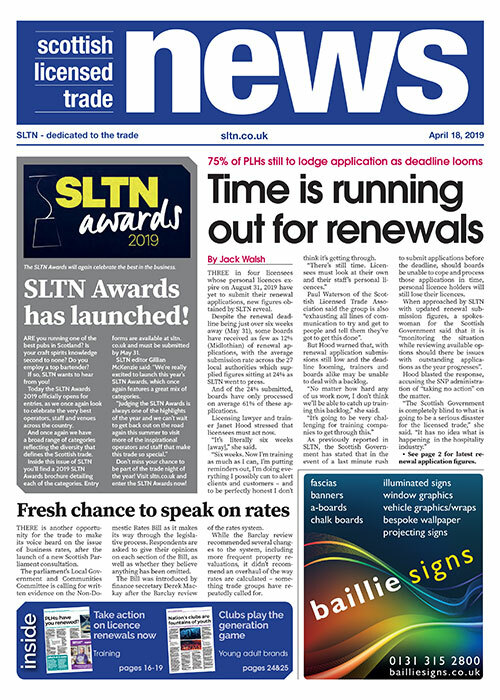 When SLTN caught up with Ian, it was at The Rocks in Dunbar – an 11-bedroom hotel with bar and 80-cover dining area, which is being headed by daughter Amy and has just undergone a refurbishment. “It is hard work, but we’ve got a great team,” said Ian. “Many of the staff have been with us for a long time and that’s so important. And in case you’re wondering, braised red cabbage makes a regular appearance on Ian’s menus.